Thanks all. Some new WIP's; with larger trees on the islands (mmm), just shrub (better), and a change of sunlight to evening. Used a voronoi island setup this time, mixing 2 sizes and a PF mask, with some adjustable smaller 'cross-bar streams' (cracks, basically). That works a bit better. I think less waves would be nicer, and smooth reflections of course. They still render pretty quick (1hr) at 0.6 AA6, soft shadows, upped subdivison level to 0.5 and v3 cloud. I think the large tree version is a no no. They are kinda blocking the view. 2nd and 3rd are spectacular! Great work but would there really be so much foam around the edges in such a placid looking river? No, you're right. I was already thinking about changing it into washed up debris, so darker colored stuff. Though it does somewhat look like a spring river, somewhat flooded? Maybe just me. The last two with the lower vergetation (shrubs) looks better in my eyes. Very beautiful evening mood version! 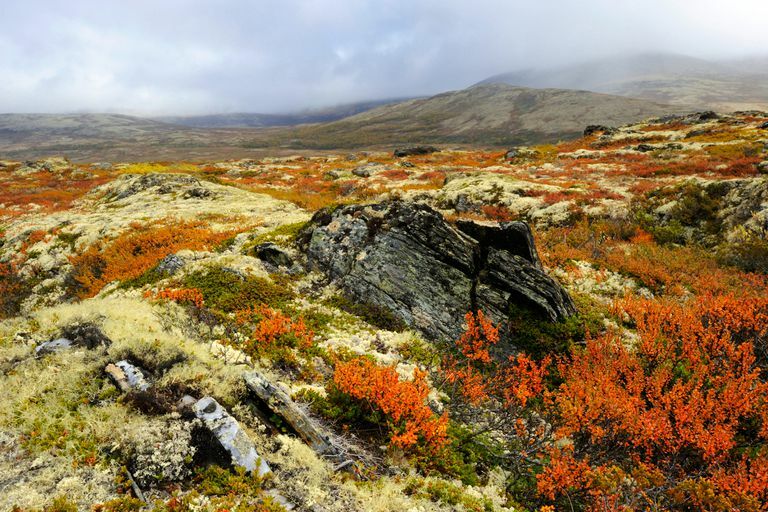 Anway, another thing; does this look like a decent autumn tundra to you? Not too bright? I think the brightness is fine for autum colours but I would use a depth pass to desaturate the more distance parts. Agree with Richard..but it is very autumnly. Thanks all. Some new WIP's; with larger trees on the islands (mmm), just shrub (better), and a change of sunlight to evening. Looks like I'm going to be the sole voice in favor of the first version with the trees. This type of terrain is very familiar to me and looks pretty close to being right. 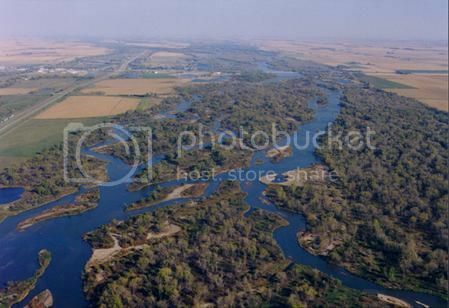 I grew up in Nebraska, which has perhaps the best example of a braided stream in the continental U.S. with the Platte River. Lots of sandbars and trees (and trees on sandbars) in an otherwise tall grass prairie (now cultivated) landscape. Tree species matter – if my memory serves they include cottonwood, honeylocust and willow. I say go with it! Perhaps tighten up the orange, with some boundary dark bushes. Tundras seem to have a lot of different types of ground cover, some of it is very "temperate" leaning and stays a evergreen without seasons. Thanks guys. Steve; the river is off, as they probably want a sea estuary knocking down the sandy elevation (they still have to find out the probable 'reality'), but I've found sandbars popuated with trees on the web as well. Thanks. Richard; good idea, though I can do that with a distance shader, which saves me the passes. Nice image, Was. Lots of color (gradations) indeed. Appreciate the explanation. (I wondered why some of the river banks seemed so steep.) Good luck with the client and project.